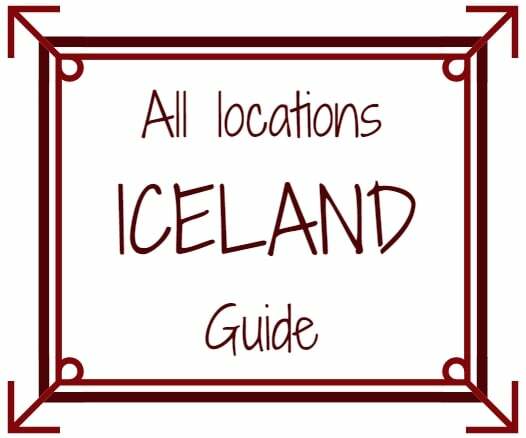 A GUIDE TO MAKE THE BEST OF YOUR TIME IN ICELAND's CENTRAL HIGHLANDS! 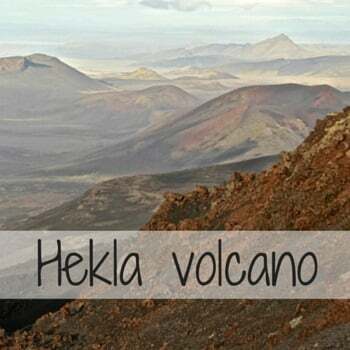 The preserved and untamed highlands are a volcanic "desert": a mix of lava fields, volcanoes, glaciers and valleys. Below is a guide where you will find maps with the places to see, a list of the highlights not to be missed, and some extra pictures just because it is so beautiful! Here is a short video (4 minutes) with the beautiful landscapes of the Central Highlands including waterfalls, volcanoes, lava fields and stunning mountains. I am sorry I shake a lot when I film; I hope you will still enjoy it and it will give you an idea of what you can expect. (Reminder: I visited in September). Click on each places to discover more photos, info and planning tips. An isolate canyon with many small waterfalls flowing on its cliffs. Off road of a 4WD road… truly isolated! One of the most feared volcanoes in Iceland, known as the Gateway to Hell, a view well worth the climb. 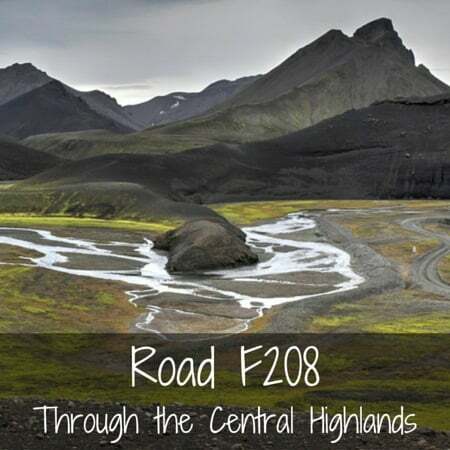 A 4WD road guiding you through some of the stunning valleys of the Central Highlands. A valley with basalt columns that leads you to a waterfall with water swirling in small pools and then plunging under your feet. A National Park quite different from the rest of Iceland with trees. This is the most popular hiking spot in Iceland. VEIDIVOTN "50 LAKES" - This part of the country has about 50 lakes of various sizes (most are crater lakes) famous for hiking and trout fishing. 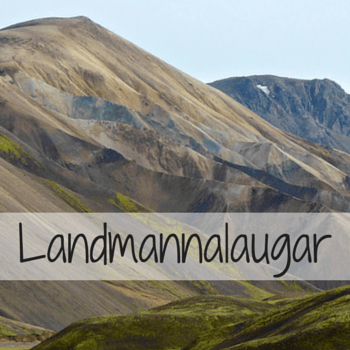 LAUGAVEGUR TRAIL - Iceland's most popular hiking trail, 55km connecting Thorsmork and Landmannalaugar, you can also connect with Skogafoss. Travelling through the highlands should not be decided on the spot. It requires planning with a 4WD vehicle, 4WD driving skills (including river crossing) and all the necessary equipment. Check out my post about driving in Iceland for road safety conditions. The area is isolated and with the unpredictable Icelandic weather, the journey can become extreme. BE PREPARED! If you want to share another place you found in the Highlands or have further questions, do not hesitate to leave a comment! Absolutely breathtaking! Definitely adding Iceland to my bucket list of places to visit! Yes it is breathtaking! Thanks for your comment Jeff. Iceland is so green, unlike its name.